"If he came here, I would accept him," Trump said. "But I wouldn't give him a state dinner like China or all these other nations who are ripping us off." Trump first floated the meeting in an interview with Reuters in May, saying that he would "absolutely" meet with the leader of North Korea. The real-estate mogul doubled down on the claim on Wednesday, suggesting that it could help end the "little fits" the North Korea dictator was subject to over perceived military aggression from adversaries. "Who the hell cares? I'll speak to anybody," Trump said on Wednesday. "There's a 10% or 20% chance I could talk him out of having his damn nukes, because who the hell wants him to have nukes?" The former reality-TV star has repeatedly claimed that the US should renegotiate defense treaties with Japan and South Korea, which allow the US to maintain bases in their territories in exchange for protection in the event that either country is attacked. Trump has also advocated for China to assert pressure on North Korea to back off its pursuit of nuclear weapons. "It's something I've been talking about for a long time. You have this madman over there who probably would use [nuclear weapons]," Trump said of the North Korean dictator during an interview in January. "And nobody talks to him, other than, of course, Dennis Rodman. That's about it." North Korea was not so keen on Trump's proposed meeting. 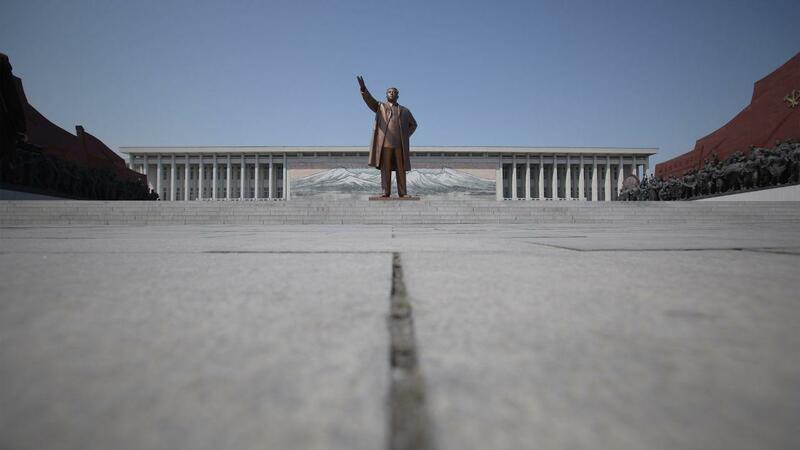 A North Korean senior state official told Reuters that it was "nonsense." "It's for utilization of the presidential election, that's all. A kind of a propaganda or advertisement," said So Se Pyong, North Korea's ambassador to the United Nations. "This is useless, just a gesture for the presidential election." For her part, Hillary Clinton criticized Trump's suggestions as naive. In a broad national security speech last week, the presumptive Democratic presidential nominee said that Trump's insistence that other nations pay the US more for protections ignored America's national security interests. "It's no small thing when he suggests that America should withdraw our military support for Japan, encourage them to get nuclear weapons, and he said this about a war between Japan and North Korea — and I quote — 'If they do, they do. Good luck, enjoy yourself, folks,'" Clinton said. "I wonder if he even realizes he's talking about nuclear war."